Prospective law students, especially those with international credentials, sometimes wonder which degree they should pursue at a law school in the United States or Canada. Should they study for a J.D., LL.M., or perhaps even an S.J.D. or J.S.D.? The “LLM vs JD” question or “LLM vs JD vs JSD/SJD” question is thus worth considering. The LL.M. degree is quite different from a J.D., and both are again very different from an S.J.D./J.S.D. This post explores the basic differences. An LL.M. is an advanced, graduate degree. It is normally only available to those who already hold a basic law degree, either domestic or from an overseas jurisdiction. However, in the U.K., some law schools will consider applicants with non-law backgrounds. The LL.M. degree can be ideal for both domestic lawyers and international lawyers. Domestic lawyers may wish to deepen their knowledge in a specific area – such as through a Tax LL.M. or an LL.M. in IP or Entertainment Law – or to improve their CV by adding an advanced degree from a highly ranked law school. International lawyers pursuing an LL.M. usually want to learn more about the Anglo-American legal system and boost their career at home, both in private practice or academia. Additionally, for international lawyers, the LL.M. is one of the gateways that may help them qualify for sitting a U.S. bar exam, such as the popular New York Bar or the California Bar. The LL.M. can, of course, also be helpful for brushing up or adding to a non-native speaker’s legal English, however this should not be the main motivating factor. For those who have busy professional lives or are unable to leave their home country, there is now also the option to pursue an online LL.M. program, although this may not have the same benefits as a traditional LL.M. Some international lawyers also seek to leverage their U.S. LL.M. degree to land a job in a U.S. law firm. While this is certainly possible, especially during times when the legal job market is burgeoning, the LL.M. is also by no means a guaranteed “in” with U.S. employers. For this latter category of international lawyers, that is those who intend to work in the U.S., the LL.M. vs. J.D. question is highly pertinent. In the U.S., the J.D. (or Juris Doctor) is the basic law degree but, at the same time, it is also a graduate degree. This means that before enrolling in law school students must have completed at least a Bachelor’s degree in another subject. Thus, an international lawyer with a basic law degree from his or her home jurisdiction would qualify. However, in addition to the usual application documents and requirements, those applying to a J.D. program must normally take the LSAT, a challenging standardized test, and only those with excellent scores will be admitted to the leading schools. 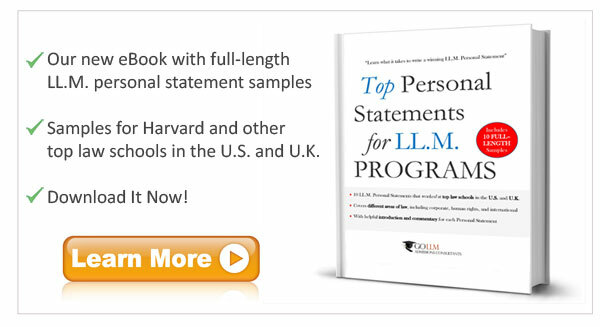 In contrast, the LSAT is not among the admission requirements for an LL.M. and does not form part of the LL.M. application. Additionally, an LL.M. is a one-year program while the J.D. is generally a three-year program. Why would an international lawyer answer the “LLM vs. JD” question in favor of the latter? The reason is that the J.D. is often more highly valued by U.S. employers. Only the J.D., in the eyes of many employers, provides students with the necessary knowledge of U.S. law and the credibility to confidently practice in a law firm and work with clients. Thus, from a career planning perspective, it may be worth going for the longer – and more expensive – J.D. instead of the LL.M. Alternatively, of course, a third option can be for an LL.M. student to transfer from the LL.M. to a J.D. program. Several U.S. law schools now offer this option and it is worth looking into if you plan to look for work in the U.S. after the LL.M. Finally, the J.S.D. or S.J.D. degree (Doctor of Science of Law) is the most advanced degree that U.S. law schools offer. It is a research-focused degree, which is comparable to a Ph.D. in law (or D.Phil. in the UK) as offered by law schools in Europe and elsewhere. The J.S.D./S.J.D. consists typically of a first stage, during which the candidate will engage in coursework, followed by a longer second stage, during which the candidate conducts research and writes under the supervision of a faculty member. The degree is typically sought by those who wish to become law school professors or researchers. In the end, choosing between a J.D., LL.M. or J.S.D./S.J.D. – and in particular the decision between LL.M. vs. J.D. – is really a matter of advance planning. Consider your ultimate ambition: if it is to be in private practice in the US, a J.D. may be the best option. 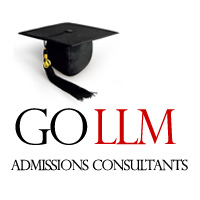 Conversely, if you intend to return to your home country after your studies an LL.M. may be most fruitful. However, if academia – either in the US or in your home country – is your life’s ambitions, a J.S.D./S.J.D. will put you on the right path. They say that the ‘early bird catches the worm’. In planning the path of legal studies, it is the bird that has truly evaluated his/her ultimate career goals that will be on the way to catching the worm.